Elevated estrogen levels have been linked to Breast cancer. Consistent cardiovascular exercise has been shown to reduce estrogen levels and can help reduce the chances of developing breast cancer. Studies show a significant increase in ACL laxity when estrogen levels are at the highest during the menstrual cycle. Hormonal therapy, including birth control, can cause an increase in ligament laxity. If you incur an injury, seek the advice and treatment of a Physical Therapist. Women athletes are more likely to suffer lower extremity injuries than men. According to some studies, they are 3-8 times more likely to rupture their ACL than men. Ankle and foot injuries are more common in women. The higher incident of injury has been linked to an increase in laxity of the ligaments during the menstrual cycle. The ligament laxity is affected by a higher tissue temperature and estrogen receptors within the ligaments. Higher core temperatures are associated with the end of the menstrual cycle. 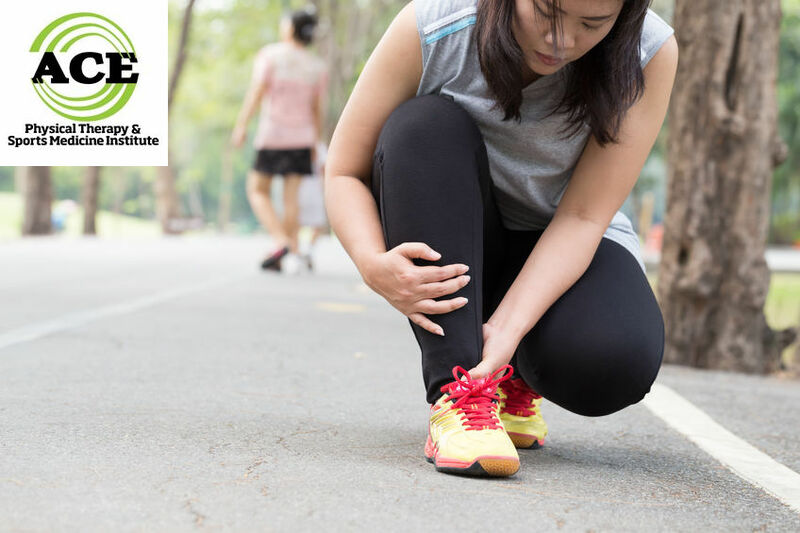 These high temperatures can cause ligament laxity in the foot and ankle among women, leading to instability and a higher rate of soft tissue injuries. Consider Plantar Fascia among women. The Plantar Fascia attaches to the heel bone (calcaneus) and extends the length of the foot inserting into the flexor tendons of the toes. The fascia is a thick, leather-like tissue that helps to support the foot and ankle and “cushion” the landing phase of gait. The fascia is under a great deal of tension during the mid-stance phase of gait and helps to support the arches of the foot. The “windlass mechanism” of the taut Plantar Fascia helps to propel the foot from a “flattened” or pronated position to a rigid lever that can be efficient for the “push-off” phase of gait. Plantar Fasciitis is common in women runners and been shown to be more prominent in women than men, particular in women of childbearing age. There is a suspicion that the excess estrogen that is released into their systems during their menstrual cycle might cause increased laxity in the tissue. The increased laxity would make the band of tissue more prone to being injured. More studies have to be performed to examine the exact effect that an increased amount of estrogen might have on the Plantar Fascia. If you experience an injury to your lower extremity you should seek the advice, diagnosis and treatment from a Physical Therapist. They are licensed professionals that are skilled in evaluating your gait. They can help to devise a routine that should allow you continue your workouts and not experience more pain. They can refer you to an orthopaedic specialist if they think there is a need for you to be further evaluated. Seeking treatment from a Physical Therapist is easy and you do not have to go to see your doctor first. You can be evaluated and treated by the therapist without a doctor’s prescription. You should check with your insurance company to see if they require you to have a referral from your primary care physician. Ligament laxity is a major problem and the joints cannot withstand the same amount of force with lax ligaments. Any joint that is associated with a laxity of their supporting ligaments is pre-disposed to injury. There are many causes of laxity in ligaments and it appears that women might be more prone to ligament injuries during their menstrual cycle due to the effects that estrogen has on soft tissue. More studies need to be performed prior to drastic changes in the current practices that are employed for females.